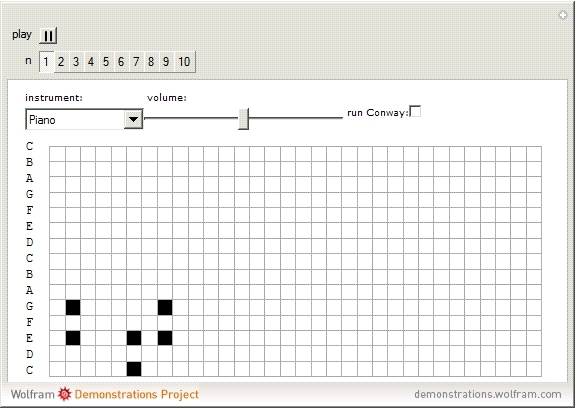 MathSynth is a synthesizer written entirely in Mathematica. It supports up to 10 different instrument channels. 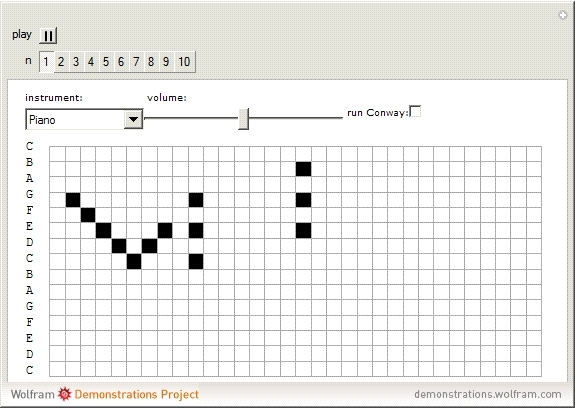 Also, for procedurally generated music, it supports the running of Conway's Game of Life on any of the channels. The ten tabs are for different instrument channels. For example, you could have tab 1 be a bass, playing a nice simple bass line, tab 2 could be a percussion instrument supplementing the bass line, and tab 3 could be an electric guitar playing a more melodic section. 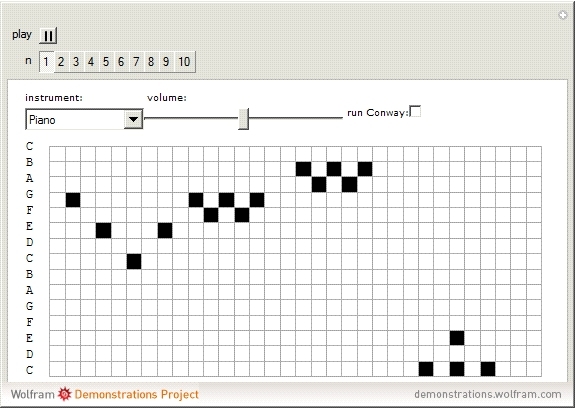 All the tabs are played simultaneously, as long as the volume of each tab is above 0.